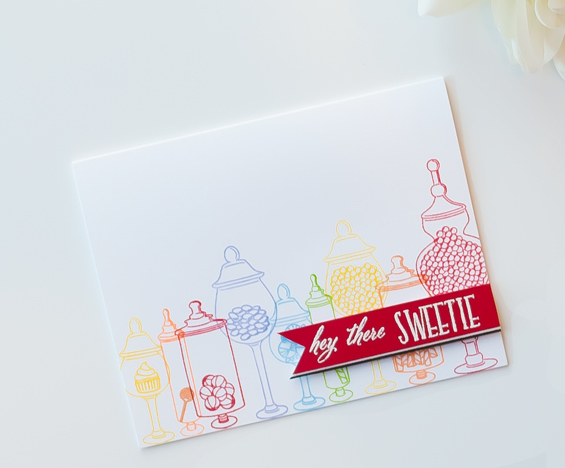 Clear and Simple Stamps ran a contest and I won Apothecary Sweets, which was on my wishlist. Seriously, my dream wish list for CSS runs to about $500. Hmm...not going to happen. Clear and Simple makes the perfect stamps and dies to coordinate with gifts and food -- two of my favorite things, and items that go well with papercrafting. I made these two cards with the set and then thought long and hard about the hobby, a hobby I still love. The sentiments are from Technique Tuesday and WPlus9. I'm tired of only making greeting cards. LOL! I'm making some different things as well. Carded out. Excellent! I love your apothecary cards, though. Both of them are excellent! I love card no. 1, especially the two colors of twine. And I love "carded out"! I do a lot of paper crafts bedsides making cards and I feel the different ways I use paper, stamps, dies etc. keep the hobby fresh for me. Both of these cards are great! I really love the candy in the first one and your use of rainbow colors in the 2nd! Love both cards, especially #2! Cute cards! Sick of cards? Say it isn't so!! Whatcha gonna do next??? I dont' want to stay tuned, tell us now!! LOL! Congratulations on your win--you did a beautiful job with your apothecary jars! Hmmmm, you probably shouldn't have planted the thought in my head, because, just between you and me, I'm getting carded out too. . . They DO get used--I'm the family card supplier. :-) But still, I'm hearing you, on that sentiment, Joan. You may be carded out, but these are darn cute, Joan. I hope I never get carded out because I don't know what I'd do with all the crafty things I would make otherwise. Love that mini-canvas and the fact that they get used. However, I've got the urge to alter things. . . hmmmm....I LOVE your cards...these are wonderful. Can't wait to see what is next on your 'to-do' list. Well just leave us hanging.......... :) -- congrats on the set win - great cards you made with it! Carded out???! Oh my! I try not to think too deeply about it because if I did I might be carded out too, but I don't like to make 'other things.' This is a fun set and I love your cards, especially that first one. Congrats on the win, love what you did with that cute set. Anxious to see what your next stamping endeavor will be. I sometimes feel a bit carded out too! Hey Joan! You know I love you which is why I had to comment! I love love love that second card so much. Awesome work girl. 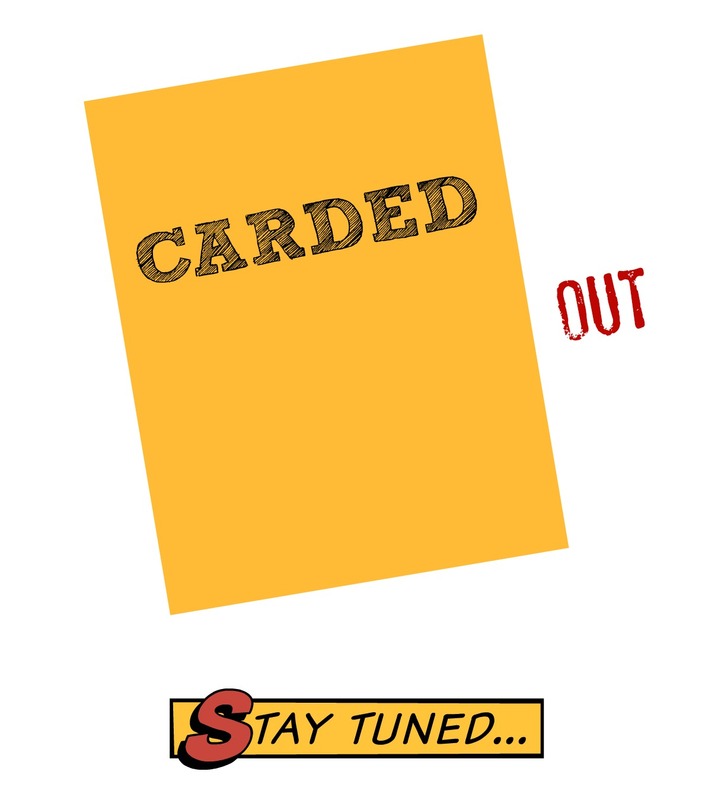 As for being "carded out" I COMPLETELY know what you mean! I'm excited to see what you have in store. Happy crafting, friend. These are both wonderful. Love the airy feel of both. Looking forward to seeing what you will be doing next. I became "carded out" months ago and came to peace with it. I still have enough cardmaking supplies to make a card if I want to, but I have moved on in so many ways and I love it. Best wishes with whatever new direction you find :) !